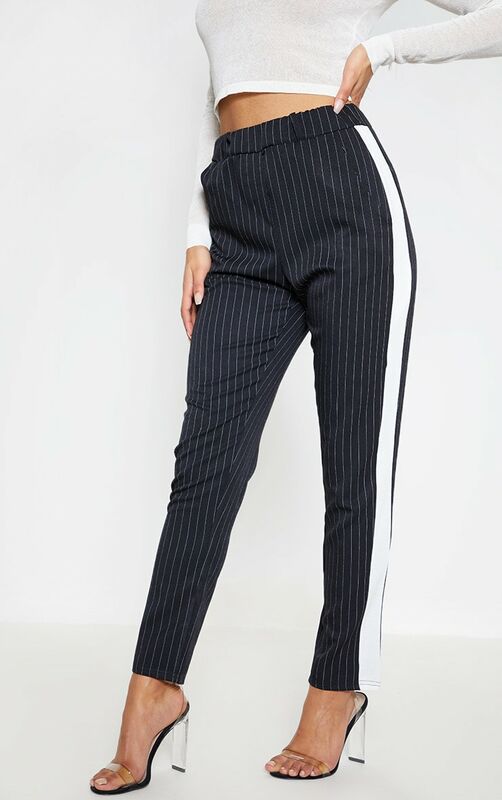 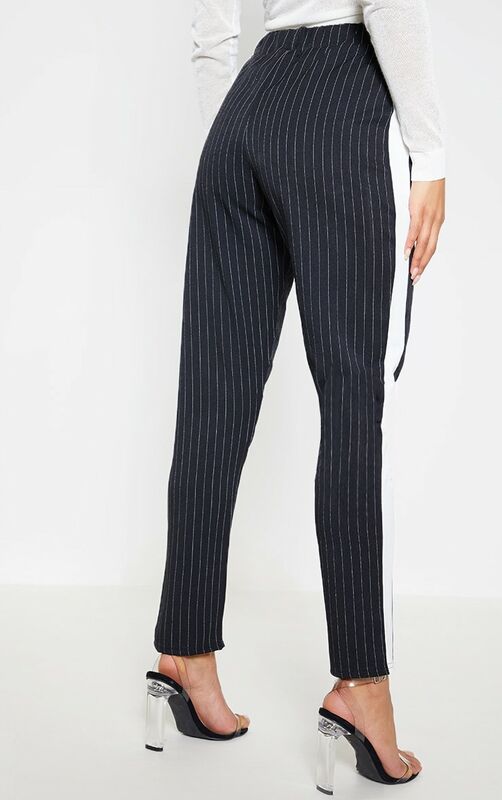 We are obsessing over all things pinstripe right now and these trousers are at the top of our hit-list. 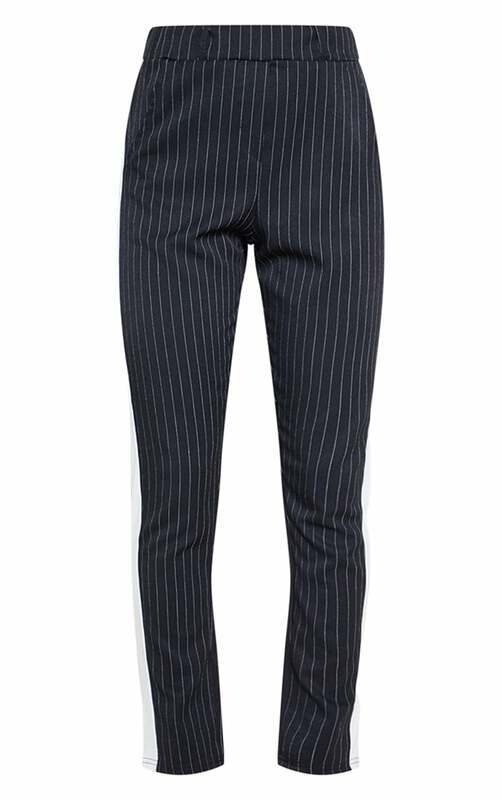 Featuring a black pinstriped fabric with a formal side stripe design, high waist and slim-leg fit. 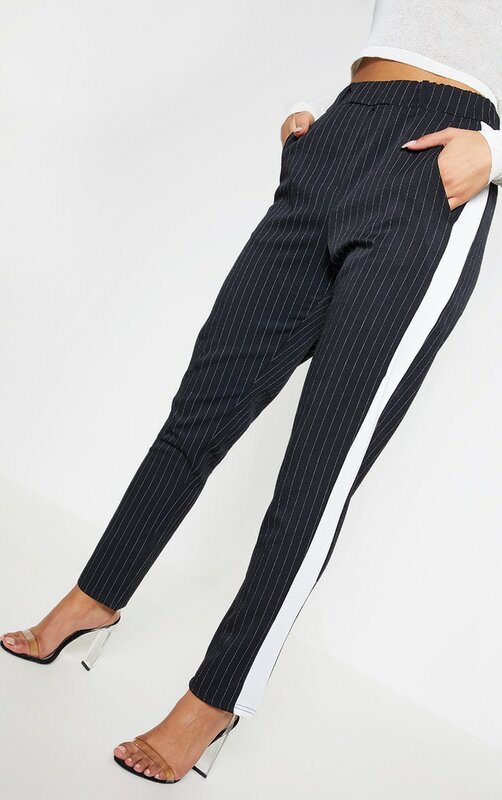 We love these teamed with a white crop top and clear black heels for a look we're loving.